The Clark County Fraternal Order of Police Lodge 181 would like to thank everyone who purchased Sgt. 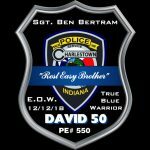 Bertram CHPD End of Watch Memorial Wristbands and T-Shirts. All profits from the sale of these two items will directly go to benefit efforts of Concerns of Police Survivors (C.O.P.S.) 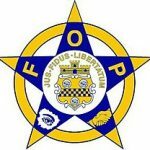 to send members of the surviving Bertram family to Washington D.C., in May of 2019; to participate in National Police Week, including the adding of Sgt. 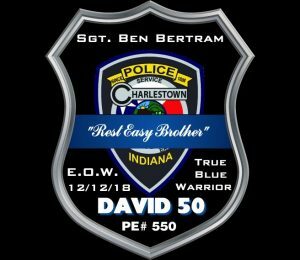 Ben Bertram’s name to the National Law Enforcement Officers Memorial. 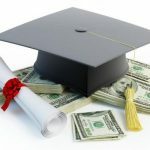 Nearly 300 wristbands and 400 t-shirts have been purchased during this fund raiser that ended January 31, 2019. Orders are being processed and delivered on a regular basis. Check on your order via fees@clarkfop181.org. Hometown: New Albany, IN / Appointed to ISP on September 1, 1937 (Charlestown Dist). October 4, 1909 - March 18, 1957.